Navy planning to allow women as Navy SEALs. 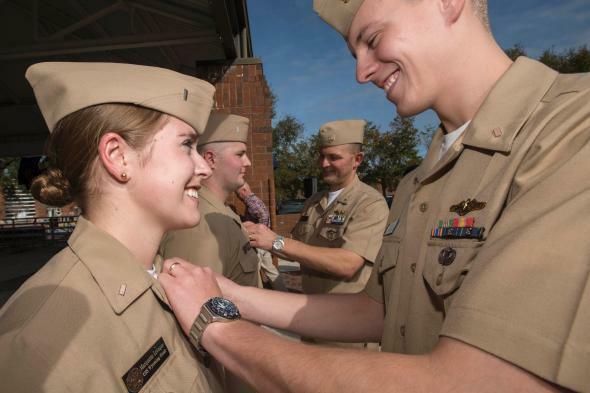 U.S. Navy says it’s opening SEAL teams to women. The top brass of the U.S. Navy announced this week the military branch is planning to open up its elite SEAL teams to female sailors for the first time. Women are currently barred from serving in special operations combat units and the prospective policy change comes on the heels of the news this week that two women had completed the grueling Army Ranger School for the first time. The flurry of moves is part of an ongoing assessment by the Pentagon on how to integrate female members of the five branches of the military into combat roles. The Pentagon lifted a blanket ban on women serving in combat positions in 2013 and each branch of the armed forces has until the end of the year to submit which jobs, if any, will continue to be male-only.